These core grants will support Forum for the Empowerment of Women, Gender DynamiX, Iranti-org and the Social, Health and Empowerment Feminist Collective. Forum for the Empowerment of Women (FEW) was established by black lesbian activists in the Gauteng province in 2002. It engages in advocacy, education and capacity building to secure the rights of vulnerable communities who sometimes face life-threatening violence as well as significant discrimination. FEW has organised and hosted Soweto Pride for 10 years. Gender DynamiX (GDX) is the first African-based organisation to focus solely on the rights of the transgender community. To date, GDX’s has focused on legal reform, inclusive education and access to healthcare. In South Africa, they provide sensitisation training for providers, as well as undertaking research and advocacy. It also undertakes capacity building work for trans organising across the southern African region. Iranti-org was founded to document LGBTI rights violations, but has since developed a strong media focus that uses multimedia as a key platform for lobbying, advocacy and education across Africa. It seeks to tell the stories of vulnerable people in ways that will resonate in a local context, situated within an international human rights framework and linked to national and international advocacy efforts. The Social, Health and Empowerment Feminist Collective (SHE) exists to secure the rights of trans women in South Africa. It works predominantly in the Eastern Cape to provide support services, including healthcare, to trans communities, but also engages in advocacy activities at the national and international level. SHE also undertakes capacity building to support feminist organising. The Foundation’s International Development programme supports civil society organisations to address discrimination against lesbian, gay, bisexual, transgender and intersex (LGBTI) individuals and communities in sub-Saharan Africa. It focuses particularly on lesbian and transgender communities. Photo: Soweto Pride 2010, courtesy of Lauren Barkume. 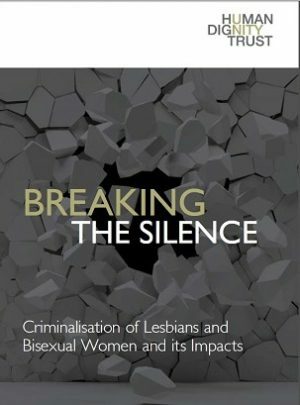 A report on the criminalisation of lesbians and bisexual women globally.